Truly not just designed to make you look like Marc Márquez, or just for a picture on turn 2 at Laguna Seca Raceway–no, this is the full scope of Hanging-Off to be able to play an A-game. While mostly focused on mid-turn body positioning and knee-dragging, our class covers it all, from A to Z. Others might teach on what they believe- or saw which is supposed to be right, but your coach, Can Akkaya, was an international racing professional who knows what’s right and how to transfer that knowledge to his students. 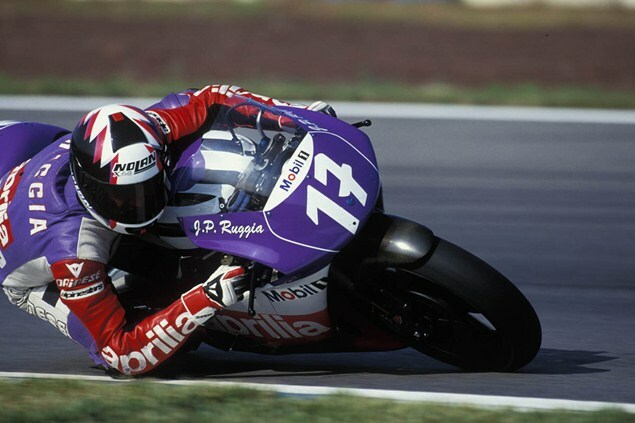 The geometry of modern sportbikes and their tires work in conjunction with the rider’s body weight distribution. This has evolved and developed over the last three decades in international motorsports. We’ve seen lots of misinterpreted priorities and wrongly taught techniques, which we decided to put to an end through this course. This subject is pretty ‘head-heavy’ so that it actually could extend a learning curve being taught wrong. 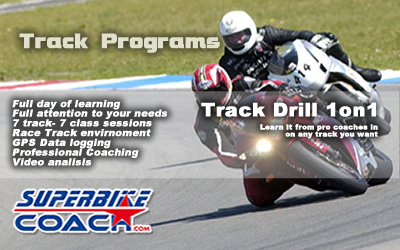 Superbike-Coach has developed a class which clears up this subject, and is also extremely efficient because of its location. 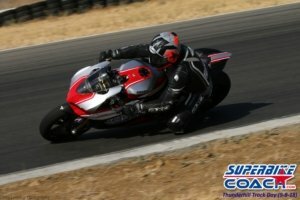 The Little 99 Raceway in Stockton, California gives our students and instructors great options to teach and learn. Coach Can Akkaya can observe and stop you whenever necessary, to give you feedback, drills, tips, and demos that you can immediately apply while he watches. It doesn’t matter ”how long” a track is, but rather how quickly your coach can deliver what he believes you need. Furthermore, the cost of being on a smaller track is significantly less and the risk of costly damage and injuries are lower. Our team is ready for you. No hidden fees, but free of charge sport photography, water, and snacks. Come with up-to-date sport riding gear and an open minded attitude. You won’t get more bang for the buck than with Superbike-Coach and on our challenging race track. The Body Positioning Class splits your time into a 60:40 track/classroom ratio, starting at 09:00 am and ending at about 04:30 pm. Sign up early since this once-a-year class has a maximum of 30 spots. After you book, we send you a questionnaire that you must fill out and return. We’ll then confirm your spot in one of the three level groups. Always changing track layouts and plenty of track riding time will help you to understand the physics quickly. There are many subjects covered in regard body positioning and to hanging-off. As a prerequisite to this course, however, we expect you have at least upper- intermediate level in regard to line choice, counter steering, and trail braking. If not, then you might take advantage of our popular Cornering School program. 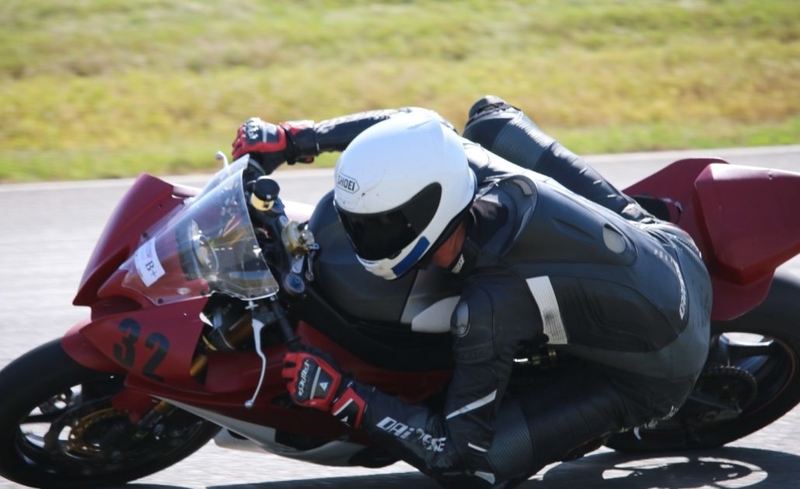 To actually drag the knee or elbow is not our main goal here, and you might consider our Knee Down class, if you struggle getting it done. The Body Positioning class focuses on “communication”- the body language to fight center gravity on a wider range. You’ll be surprised how much there is to learn to do ‘body positioning’ right! If you want your coaching more personalized- this class is also available as 1on1 or for small groups. The scheduling is also individual, but during weekdays only. The coaching fee depends on headcount: 1 $279, 2 $260, 3 $240, 4 and up $220. There will be also a additional track fee which will be divided by headcount. Click here and let us know your plan to set this up. 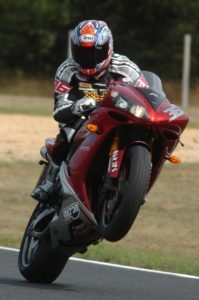 The Body positioning Class is for the intermediate to advanced track day riders, racers- or Sportbike street riders. No previous SBC classes are required. Coach Can Akkaya comes with lots of drills and demos to make you see and understand procedures and priorities. NEED A RENTAL BIKE?! We can help you out. Rent one of our pool bikes which are coming with gas, race tires, and transport. The fee is $190, and an optional protection plan of about $85 which covers you to max $700 in damage, no matter how bad it is. Of course you can bring a cheaper 3rd party rental, but you won’t have that insurance, and no transportation to our track. Just opt it in the booking process. If you don’t like classes or group dynamics- and you always wanted a professional coach has his eyes on you and your need only? Then how about a Track Drill 1on1 coaching?